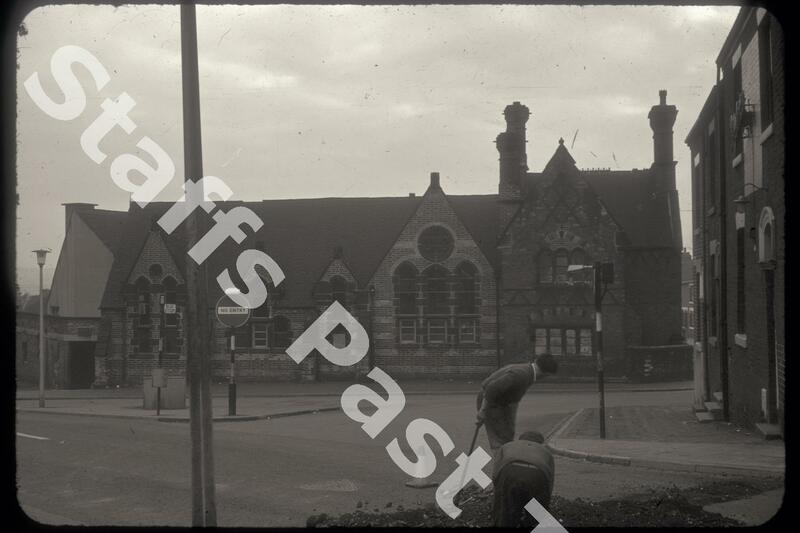 Description:Northwood Church of England Schools at the junction of Lower Mayer Street and Keelings Road (previously Keelings Lane). 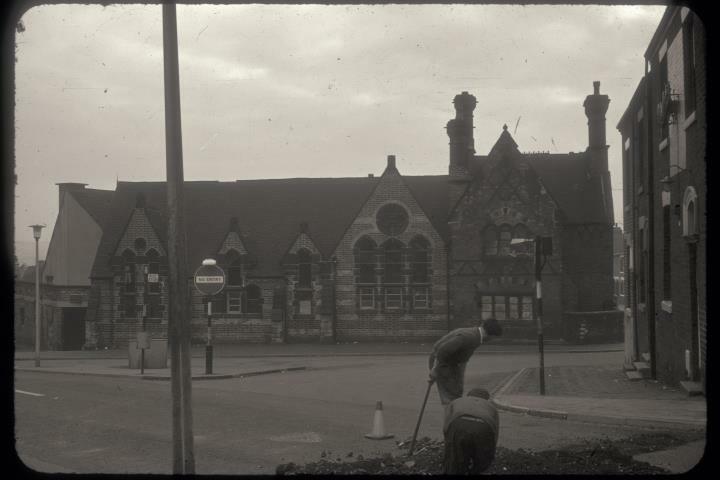 These were infants and junior schools opened originally in 1858-59. They were rebuilt and expanded in the 1880s. Lower Mayer Street runs in front of the school and the photographer was standing in Keelings Lane. On the extreme right hand side is the edge of the Wheatsheaf Stores public house. The school buildings have been demolished and the land used for housing.